Some elements in your kitchen are simply necessary and not always fitting into your home decor style. In today’s post we are looking at some items that combine style and functionality. Of course, these microwaves, toasters and kettles are a bit more expensive that regular ones but they do have more style. The price range of these is from 50 to a 100€ more or less. Regular appliances take a up a lot of space on the counters and even if useful they are not always the nicest to look at. So why not splurge a bit and take your coffee break to the next level ? 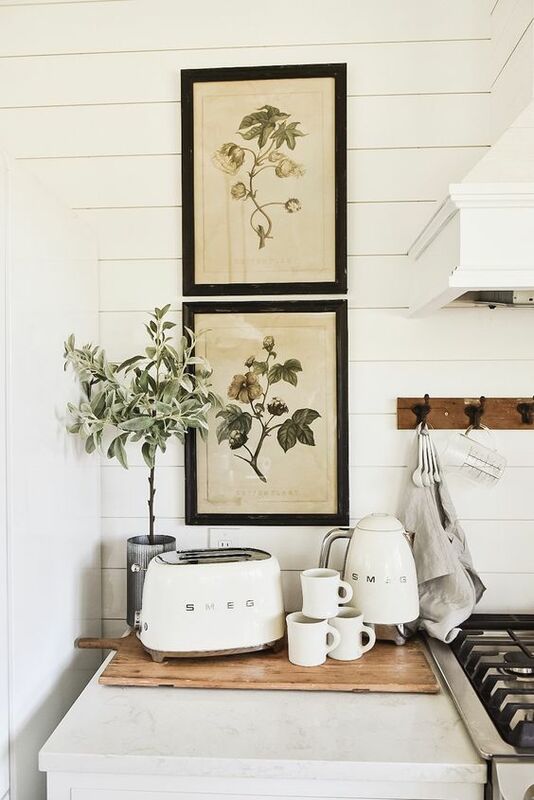 These cute appliances will add some decor value to your counter tops and fit perfectly into a farmhouse inspired kitchen.